The SmartHockey Stickhandling Ball is Something Every Hockey Player Should Have in His or Her Bag! Every once in a while a hockey product comes along that just makes sense. 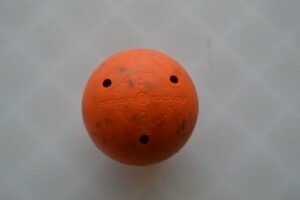 The SmartHockey Stickhandling Ball is one of those products. I’ve been using the Smart Ball for about 7 years now, and I’ve really enjoyed it. 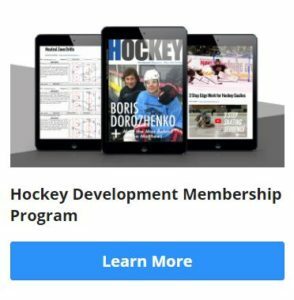 There are a few reasons why the Smart Ball is such an effective stickhandling tool. Since it’s a ball, the Smart Ball can be used on many different surfaces. 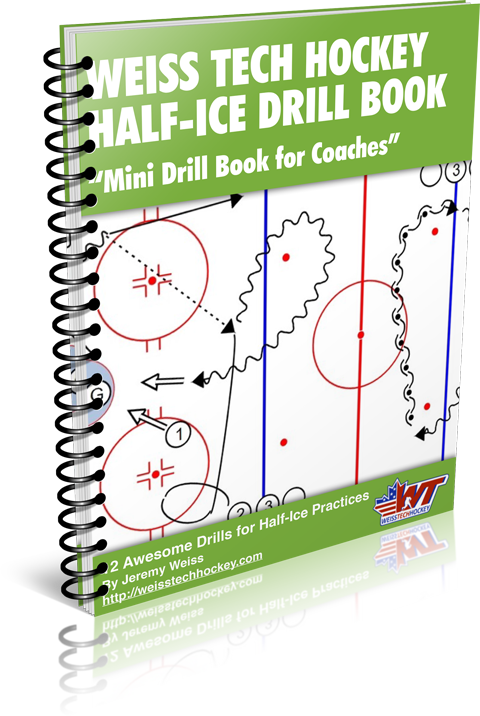 You can take it inside and use it on carpet, bring it to the rink and use it on the rubber flooring there (I keep a Smart Ball in my bag to use for warming up my hands before games), or you can use it outside on the pavement. The Smart Ball is durable enough to withstand whatever abuse you might throw at it. In fact, I still have my original Smart Hockey Stickhandling Ball that I bought 7 years ago, and it’s still in GREAT shape. These balls just don’t wear out! 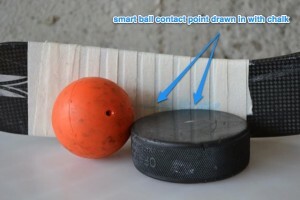 Contact Points – The Smart Ball was designed to contact your stick at the same height as the puck does. This small detail makes a big difference in the “feel” of the ball. Weight – The Smart Ball is slightly lighter than a real puck. All the top stickhandling pucks and balls on the market have done this. The idea is that once you factor in the friction of the surface you’re working on, the ball will feel really close to the real thing on ice. Dead Bounce – The Smart Ball was designed to have a “dead bounce,” similar to that of a puck. 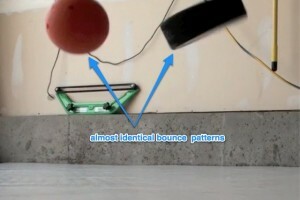 In fact, if you drop a Smart Ball and a puck at the same time, they have almost identical bounce patterns, as you can see in the video. Again, this design feature really enhances the feel and stickhandling experience you’ll have with the Smart Ball. All in all, this is a fantastic ball to add to your stickhandling tool set. Not only is it extremely versatile, durable, and well-designed, but it’s a lot of fun to use too, which means it’ll actually GET used! I recommend picking up 2 or 3 Smart Balls, one for your bag, and a couple to have at home in your dryland area.